Wanted to get my Clue 6 done this week early for the Good Fortune Quiltville Mystery Quilt.. I'm so glad to be completely caught up! Will be linking up with Quiltville's Mystery Monday Link-up. I've been busy getting my goals ready for the 2019 Finish-A-Long. There are a number of global hosts, but I usually hook up at Marci Girl Designs. You can see all the global hosts on her blog. Each quarter you make a list of things you would like to finish. I've also been trying to get the last redwork design on my 2018 Quarter 4 list done. I am right down to the wire on this, but I think I can get it done tonight. But chased up all the mice in the farmer's barn. I'm trying to finish up these blocks for my sweet sister-in-law. There were 20 blocks originally. I have 4 more to do. She is going to set them into a quilt for her first granddaughter. I'll try to get one more done before they get here on New Year's Day. They spent a week and a half in a beachside condo in Brookings, Oregon, and will be heading back to Southern California. Right now I have 4 to give her, hope to make it 5. Next on my list, besides the redwork, I plan to get this block prepped for applique. I originally started this BOM in 1998, after going to Phoenix for an Interquilt convention, an online quilting group. There, I met for the first time Susan Nixon @ DesertSky Quilting, Moira McSpadden @ The Quilted Snail, Randy @ Barrister's Block, and Lori @ Humble Quilts. I have pictures of Lori showing her fabulous Dear Jane Quilt. Anyway, Susan and Moira took us to the Quilted Apple Quilt Shop and I fell in love with this BOM. I bought a few of the patterns and then asked Susan to pick up the rest when I returned home. I hand appliqued 1 block and that was as far as I got. I came across the block recently, and then found the patterns. This was the block I have finished. The block I need to prep. I also plan to stitch another one of these stitcheries from Kathy Schmitz, because love how Kyleigh's came out. I will also be linking up with Kathy's Quilts for Slow Sunday Stitching. December 7th, I took my Bernina and embroidery unit it, because it was having issues. After being in the repair shop a week, I called back and they said the bracket on my embroidery unit needed replaced and would cost $439 to fix, and it would take 1.5 to 2 weeks to come in. I was devastated, as I was still in the process of making Christmas gifts. The helpful person I talked to explained they had a trade-in come in that afternoon, and she could sell it to me for just a little more than what it would cost to fix my machine. My machine was an Artista 185 and this was an Artista 730, way newer than mine. She said they would check it out and I could pick it up on Monday 12/17. I got the new machine home and got busy with my gifts. I made a nutcracker pillow for John-John who loves nutcrackers as much as I do. I embroidered a car on a sweatshirt for son-in-law Jeff who is still wearing the one I did for him at least 13 years ago. The problems started with this one. I wanted to put a car on Jaeger's sweatshirt. He got his permit and should be driving himself in May. When I got to the chrome on this one, it started making a snarly nest of threads coming out of the throat plate. I took the hoop off and cleaned everything out and was able to put the hoop back on and pick up where I started. Then the pug for grandson Keaton, who loves pugs. I don't think he has taken it off since I gave it to him! On the front of Kyleigh's the K came out very nice. Then I wanted to do a mermaid on the back. I had gotten down to to filling in the details on the fish, when it made an even bigger snarly mess of threads in the throat plate. I tried to pick up where I left off, but couldn't get it right. So the mermaid has no details and the fish is not complete. Kyleigh seems happy with it, but am going to give it another try and make her a tote back or something. This was goal #9 on my Quarter 4 Finish-A-Long Goals. I have had these embroidered at least 10 years. I finished my daughter's and gifted them. But my set were undone. I finally got them done this year, and on the tree. I have decided to list my 5 favorite finishes of the year. The first was my Angel Wreath quilt. I had finished the top back in 1997, and started hand quilting it. Then put it away and forgot about it. It had been pulled out so many times, and then got buried again in projects. I finally put this on my 2018 Finish-A-Long list and completed the quilting and binding in May. This was a Linda Brannock pattern from Gardening for Quilters. My second favorite was the Wooly Flowers Sampler. This flimsy had been finished at least 10 years. It had been a BOM by Starry Pines Pattern Company, designed by Connie Huddleson. It is wool appliqued on flannel, with a flannel back. My fifth favorite was the quilt I made for daughter Katie for her birthday this year. We had gotten some row-by-row kits that never got put together. She told me she really wanted her quilt put together for her BD. The mermaid sections were from Calico Mermaid in Porterville, CA. The top section was from Prarie Queens Quilt Shop which was in San Jose,CA, but is permanently closed. The bottom row was also from Calico Mermaid. I designed the center section. 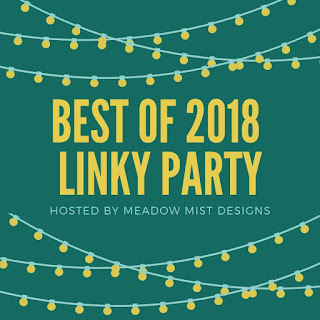 I'll be linking to Meadow Mist Designs for the Best of 2018 Linky Party. I've been participating in Bonnie Hunter's Good Fortune Mystery quilt this year. I was finally able to get my Part 5 blocks done today. Still need to finish up Part 4 and Part 3 I think. I'm linking up to the Mystery Monday Link-up on Quiltville's Quips and Snips. In browsing blogs this morning, I found out that I was featured on Wednesday Wait Loss by Jennifer @ The Inquiring Quilter this week. So excited this made my day. Thanks so much Jennifer! Last week she was asking for holiday quilts, and I shared the post, which was during the Virtual Cookie Exchange Blog hop, where I showed my holiday decorations here. I love getting my decorations out each year, right after Thanksgiving and love my Christmas quilts. Go check out other people featured on Wednesday Wait Loss this week. 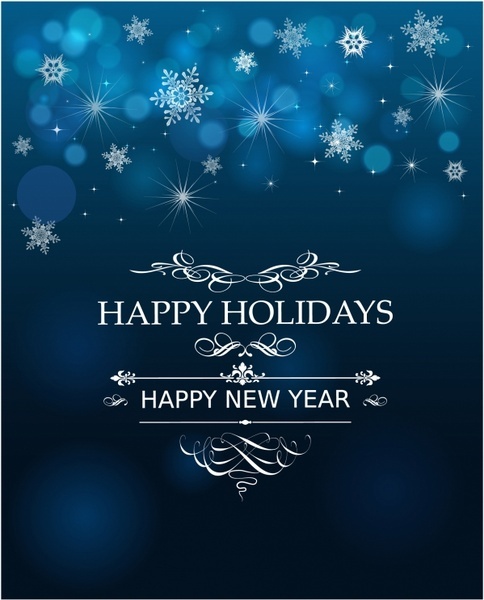 Just wanted to wish everyone Happy Holidays, see you in a few days! I finished my One Monthly Goal for December. As I stated here, my One Monthly Goal for December was to make some clothes for the doll I'm giving my granddaughter Klara for Christmas. This is the doll. It is from a series called Our Generation. She is an 18" doll named Bonnie Rose. I was busy this week making clothes for her. First I made her a pleated skirt. I got the directions Val Spiers Sews I made the T-Shirt cut from Klara's outgrown shirt and a pattern from Trillium Design which is free here. I crocheted the Retrp vest, hat and purse from a free Red Heart pattern. . This dress I cut from another old outfit of Klara's. I even used the flower that was on her dress. These leggings were cut from some of Klara's old favorite leggings. The t-shirt is the same as above, cut from some cotton knit I had. I next decided to make some PJ's. This fabric I had left over from something I made granddaughter Kyleigh. I have no idea why I bought so much. But this is a slinky, silky type fabric, with fleece lining. It slips all over the place and is a pain to sew with. I found I sewed the back on wrong and I had to take it apart. I finally did finish though. Then I did make a new outfit for one of her Baby Alive dolls from scraps I had of her old leggings and cotton knit for the t-shirt. I'm also giving her these outfits for the Baby Alive dolls. My DMIL made these for her mother and aunt probably around 35 years ago and I saved them and am giving them to Klara. 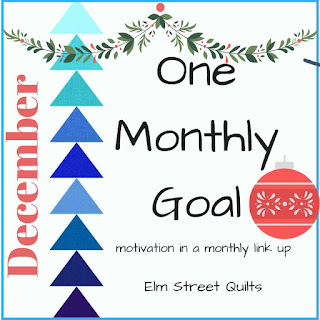 I will be linking up with Patty at Elm Street Quilts for the One Monthly Goal link-up when it comes up. Part 4 of the Good Fortune Mystery came out on Friday. I was able to make about 1/2 my blocks, before I had to get going on Christmas surprises. This week it was string pieced blocks. These are the strings on my sewing table. These are my finished blocks. While I am using mostly Civil War Repros, I didn't have many oranges so I had to get some other fabrics from my stash. I am liking up with Bonnie Hunter's Mystery Monday link-up. I have gotten a lot accomplished this week slow stitching. I recently joined Kathy Schmitz's One Stitch at a Time Club and found this cute whale in the archives. I stitched it up and made it into a cushion for granddaughter Kyleigh. I also stitched up this little ornament from Robin Kingsley's book Just Be Claus of Bird Brain Designs. I am going to take some cookies to a former coworker and add this as a decoration. I'm linking up with Kathy's Quilts for the Slow Sunday Stitching. Meanwhile in the ongoing saga of my embroidery machine. I called on Monday, and they said to give them 5 business days to look at it. So I called on Friday and found out that I need a new bracket for the embroidery unit, and it would take 1.5 to 2 weeks to get. and would be $439! My machine is an older embroidery system, Artista 185. I told the person I was talking to I was trying to get Christmas presents done. She told me they had just taken a Bernina 730 in as a trade in that day and I could purchase that for $500. This is a way newer system than mine. So talked to DH and he provided me the funds. So I went down and paid for it yesterday, and hopefully will get it back on Monday, plenty of time to get my gifts done. They couldn't take a trade-in on a trade-in so I am bringing my old machine back home. The machine works fine, just the embroidery unit needs a new bracket. I saw the machine yesterday. My machine I had to take to my PC, hookup with cords to download designs. This one has a USB stick I can just download onto that and put the stick into my machine. She said the person that traded it in was not familiar with Berninas so she traded it in on a Janome. So everything worked out well for me. I took my machine in at the right time, they took in a newer machine the day I called to check on it, and I talked to Jennifer, the girl that took in the machine as a trade-in. Am looking forward to Monday and picking up both machines and getting stitching. I had looked at the new machines when I dropped off mine for repair, and I thought I would never be able to afford a new one. I do have a machine to stitch on, my Juki that I use for quilting. I've been working on the Good Fortune Mystery by Bonnie Hunter of Quiltville. I started out well and followed the instructions/diagrams on 1/4 of the units. Then the next day I came back and started working on them again, and made 1/4 of them going the wrong way. But I didn't stop there. Yesterday I got 1/4 more of these chevron's 1/2 done when I noted my mistake. And cut out more units. Right now, I have 3/4 of the units done and part of my bonus half-square triangles pressed and trimmed. I still have this big pile to press and trim, but it will have to wait till later. I have gifts to work on. My Christmas catcus is blooming nicely. You can't really tell here, but it has red and white flowers on the same plant! I'm linking up with Good Fortune Mystery on Bonnie Hunter's Quiltville's Quips and Snips. For purposes of the Hand Quilt Along, I'm going to repeat a couple of finishes. I've been busy recently getting things ready for Christmas. I finished hand quilting the Angel Quilt, designed by Cheri Payne. I also made this ornament. It was in the book Just Be Claus by Robin Kingsley of Bird Brain Designs. I just finished this stitchery by Kathy Schmitz. I just joined her One Stitch at a Time Club. I'm going to make this into a little cushion by granddaughter Kyleigh. I'll be linking up with Kathy's Quilts for Slow Sunday Stitching. In other news, after I got some designs downloaded into my embroidery machine, I did this little nutcracker for grandson John who has inherited my love for nutcrackers. This came out rather small, and I was thinking of enlarging it. I wanted to embroider a car on a zip up sweatshirt for my son-in-law who owns a used car lot. I embroidered one for him about 13 years ago, and he is still wearing it. This was the design I purchased. A pretty blue 69 Mustang. The color chart provided was very tiny. So I started stitching it out. The first color my embroidery machine said was blue, and it stitched the ground and part of the car. Then it asked for cyan, and I did that teal looking color. Then it asked for yellow and green. By this time, I didn't know what to do. I went back and printed out the sheet on the Bernina software and this was what it came out as. So I decided I was going to start over with a lighter fabric and follow the tiny color sheet instead of what the embroidery machine was suggesting. I put the embroidery hoop on, loaded up the pattern and I keep coming up with an error message that says to attach the embroidery hoop. Multiple times. I played around with this for about 2 hours. I called the sewing machine place and it will be $199 to take it in. I drove it down to the shop last night before they closed. Hopefully they can get to it quickly. Need to go bring out another sewing machine so I can work on this week's Good Fortune Mystery by Bonnie Hunter of Quiltville.